Where Does the Dust Itself Collect, by Xu Bing. Lower Manhattan Cultural Council, New York, 2011. The events of 9/11 immediately affected a population that came from all over the world, so there is some poetry in the idea that a Chinese artist living part-time in New York made the present work from the dust that settled that month in Manhattan, and exhibited it first in Cardiff, then in Berlin, then in São Paulo. The dust had to be smuggled to other continents as though it were its own explosive material. Ten years later, the dust is back in the city where the wind first bore it, and from its initial deadening haze, the strange order of language emerges. Xu Bing’s own life has been a study in contradictions since his childhood, when his father privately taught him the traditional scholar’s canon and craft even while they both publicly participated in the Cultural Revolution. Xu Bing has long made work that explores the complex interactions between such simultaneous systems, and has devoted much of his artistic energy to the tension between written Chinese and written English. His narrative is largely one of elucidating incomprehension. He created meaningless quasi-characters and printed books of them in Book from the Sky (1988); he turned English, with its sequential alphabet, into semi-unintelligible characters in Square Word Calligraphy (1994-96). Now, in “Where Does the Dust Itself Collect?” he acknowledges that content can be communicated, however imperfectly, that translation is possible, however much distortion it may contain. The words that he calls forth on this floor are taken from an argument in poetry between two seventh-century monks. Shen Hsiu described how a soul collects dust and must be continually wiped clean; Hui Neng, who became the father of Zen Buddhism, responded that the soul is innately pure and therefore immune to dust. “For dust thou art, and unto dust shalt thou return.” In the Judeo-Christian tradition, dust is a metaphor for decay, the vanity of vanities; in the Zen Buddhist paradigm, the absence of dust is a metaphor for the limpidity of the divine. While the Western tradition sees the return to dust as a trope for the finite, the Eastern one employs it in a vision of eternity. Writers and artists, soldiers and firefighters, religious leaders and politicians, and millions of other have sought meaning from 9/11. There has been a relentless quest to reorganize the tragedy so that we can understand it not simply as an act of malice, but as the opening from which we will build a better and more just world. Endlessly, we seek purpose in the rubble. 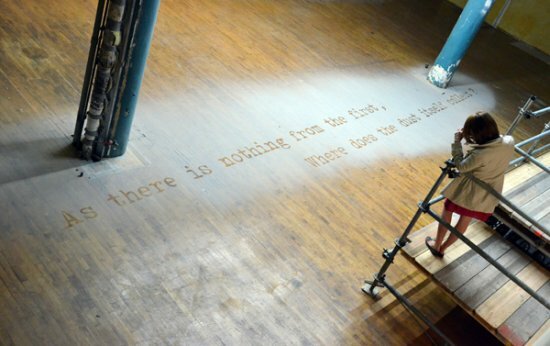 In Xu Bing’s work, words are not superimposed on the detritus of the event; they emerge, instead, as the voids, the literal nothingness on the gallery floor. Anyone who looks to those words for meaning has only to read them to be directed back away from sense. Dualities and multiplicities are Xu Bing’s only version of truth; language’s oblique relationship to thought means that every word we say or even think is already a translation of something ineffable. An artist engaged with the meagerness of language knows that the twin towers are towers of Babel. Both poems to which this work refers were written in Chinese, but the Chinese artist who has appropriated them has used the last lines of the later poem in an English translation. 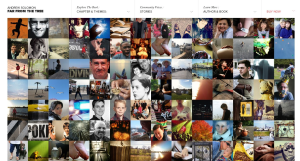 That’s an added filter that echoes the second poem’s central layering of the lived world and the Buddhist spirit. The dust that Xu Bing collected Downtown in the disembodied days following 9/11 is not merely allegorical. It is composed of the ordinary and extraordinary materials offered up to those September winds, compounded from that day’s singular mix of granular materials: the buildings that pulverized themselves as they fell, the papers that the buildings threw off like dead leaves, and the gritty ashes of humanity, all blended by fire and force into a uniform, elemental purity and mixed with the motes of everyday air. In the last decade’s interminable and fruitless debate about a “freedom tower” and a monument to 9/11, no one thought to note that the monument was already there: it was the dust itself. If You Could Add One Book to the High School Curriculum, What Would It Be? 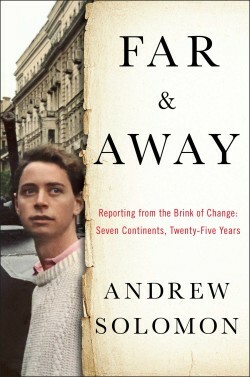 Enter your email address here to sign up for updates from Andrew Solomon. © 2019 Andrew Solomon. 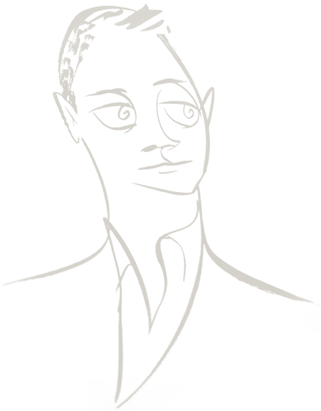 Illustration of Andrew Solomon by Tom Bachtell.